Masayuki Doi has the unfortunate distinction of being the black sheep of Atlus' main art designers, no doubt due to the fact that some of his best work is hidden within a dead series and that his rise to prominence came at a tumultuous time in the company's history. However, we think his surprisingly expansive oeuvre is definitely worthy of a comprehensive reevaluation and deserving of wider recognition, even if some of it is tarnished by lamentable choices and circumstances. 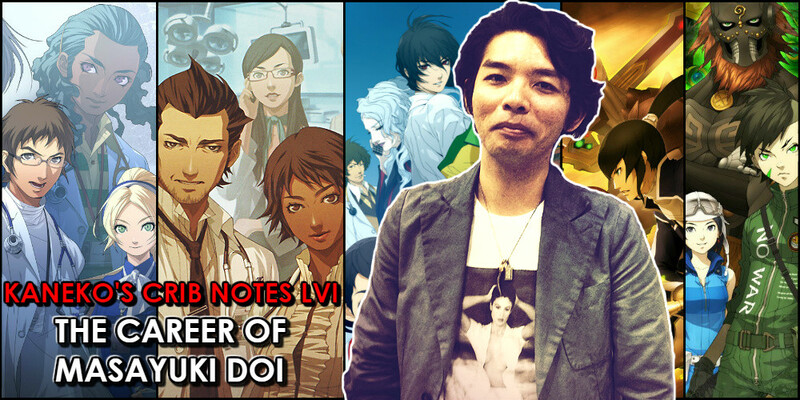 Join Kaneko's Crib Notes editors Soren and Eirikr once more as they break down Doi's entire career, from Trauma Center to Shin Megami Tensei and much more!